Looking to post a job online and not sure what job board to advertise on? Finding the best job boards for your company can be difficult work, and could end up being costly, especially when they can charge anything from £99 to £599 per vacancy. Fortunately, we have been working with the UK’s leading job boards for a good number of years and know how they perform with a variety of different job roles against each other. 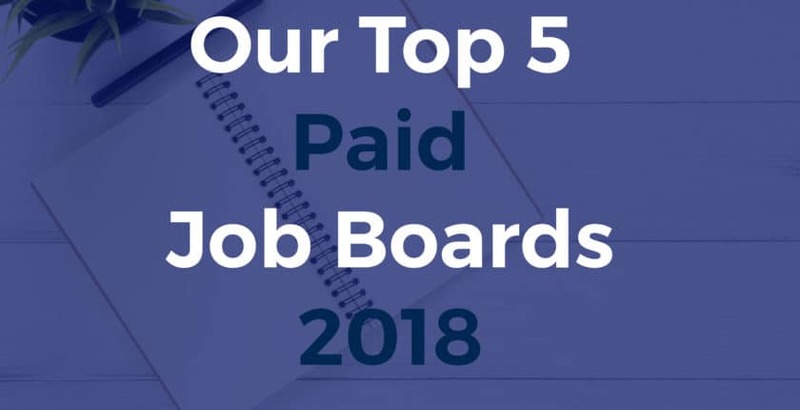 There are many factors that could depend on what job board to use such as location, sector, job seniority and much more however, we are going to give our overall top 5 job boards in the UK to advertise your vacancy on. This is based on about 1000+ jobs this year (2018), tracking the application source of hired candidates when the same job was posted on multiple job boards, candidate engagements, overall analytics and cost per job. The Total Jobs Group has now merged with Jobsite, meaning when you post a job on Total Jobs, your advert will also get posted on the Jobsite network. This has combined the network reach of their CV search and job postings. A popular job board and recruitment agency, Reed claims to be the UK’s number one job site and it’s not hard to see why they make such a bold claim. If you use any of todays modern technology, such as Spotify or YouTube, you probably have already seen their “Love Mondays” adverts. LinkedIn works better for specialist and senior roles however it can also work great for most job postings. Having your job on the world’s largest professional networking site is essential to reaching all your potential candidates. Their job slots feature means you can advertise to candidates with the same job title, location and skills whether they’re looking for a job or not. Monster is a job board with a huge reach in the UK and the USA. We find it works best for Information Technology, Engineering and Technical roles however it’s marketed as an any-sector job platform and does perform with most job roles. Now Google is showing jobs in their search results, there is no better time to have your website publishing jobs on the world’s largest search engine. There will be a lot of job seekers searching on Google instead of using their favourite job board. Plus, it’s free! How to get my jobs in Google search results. Choosing one of the job boards listed above will be your best choice for advertising most jobs however advertising on multiple sites will ensure you find the right candidate, the first time. Not only will this boost your company’s recruitment branding but give you more choice when shortlisting your applications. For more information, please see where to advertise a job. Advertising your jobs directly with the job boards can be expensive and time consuming. We take the hassle and cost out of job advertising by publishing your job across multiple top leading job board sites (including the ones listed above) for one low cost and providing you with recruitment software, if you need help managing your applications. Job Board Packages from £95!